Yes yes, shooting RAW photos on your smartphone is a bit of a weird thing to do. After all, it’s more suitable for dedicated cameras than anything else. One of the pioneering RAW apps on Android, Camera FV-5 offers plenty of photography bang for your buck (the app is available in lite and paid flavours). The program delivers an array of manual controls (shutter speed, exposure value, ISO), RAW DNG output, an “intervalometer” for timelapses and a histogram. Neat. 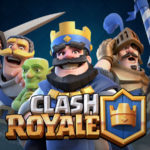 The lite version has a limited resolution, but give it a download if you’re unsure about splashing out. 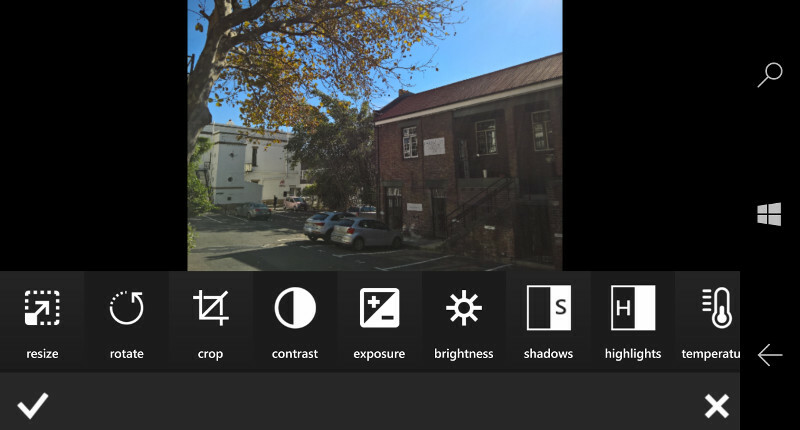 One of the more popular apps among power users, ProShot stands out thanks to its extensive list of features, including RAW support (on Windows Phone and Android, at least). Aside from RAW output, the app also has manual controls (ISO, exposure, shutter etc), a light painting mode, various scenes, several customisable profiles to save your settings and extensive timelapse options. 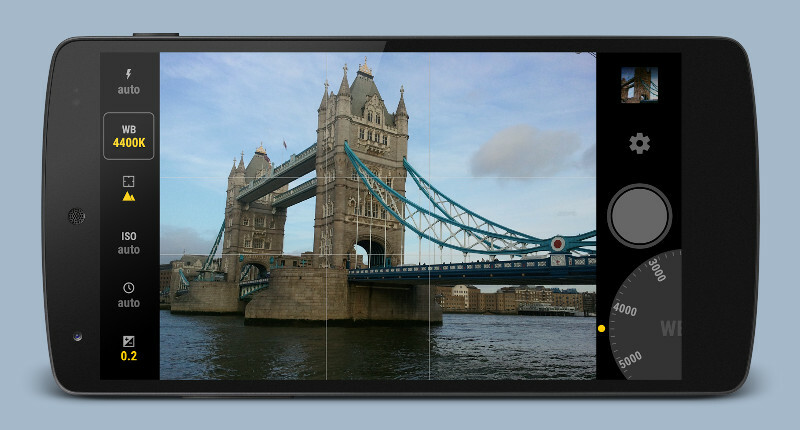 ProShot is a paid app on Android, iOS and Windows Phone. As the name implies, Manual Camera focuses on the advanced camera settings, but also claims to be rather fast. 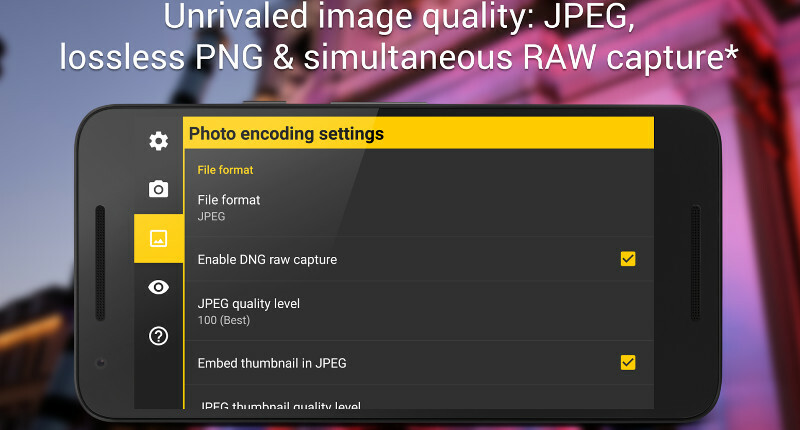 Aside from the ability to adjust ISO, shutter speed and all that, the app doesn’t offer much else, featuring support for RAW DNG files and the ever-present gridlines. This is all wrapped up in a rather pleasant user-interface though. Manual Camera is available for R43 on Android. Need to edit RAW photos? Easily the most high-profile editing option on the list, Lightroom has since gone free on mobile (you’ll still need a CC account though). 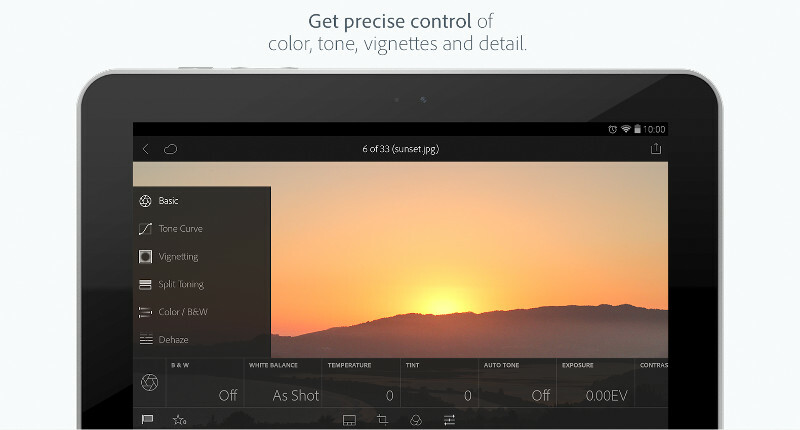 Enthusiasts can use Lightroom Mobile to tweak colours, detail, white balance and much more. And in a rather cool touch, the app has a built-in camera capable of RAW output. Lightroom Mobile is available for free on Android and iOS (RAW support in this version is spotty though). Windows Phone users don’t have many options at their disposal, but Rawer is definitely the top pick on the platform. The no-frills app delivers a host of editing options, ranging from sharpness, temperature and exposure to contrast, hue and shadow adjustments. 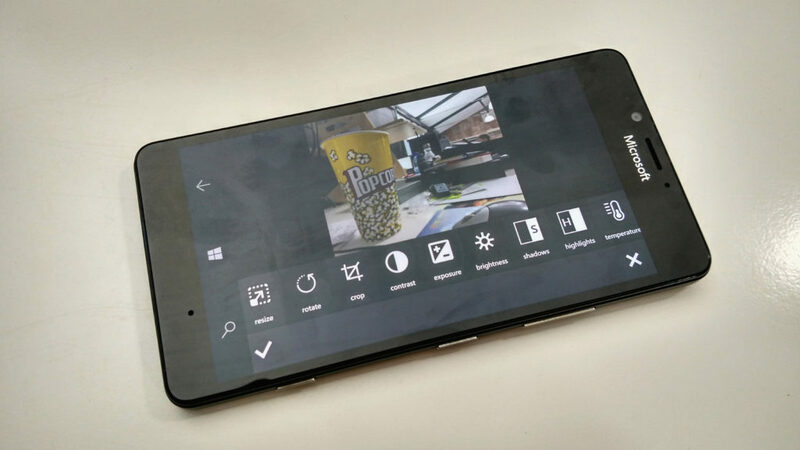 Rawer’s basic viewing features are free on Windows Phone, but you’ll need to splash out to actually edit photos. 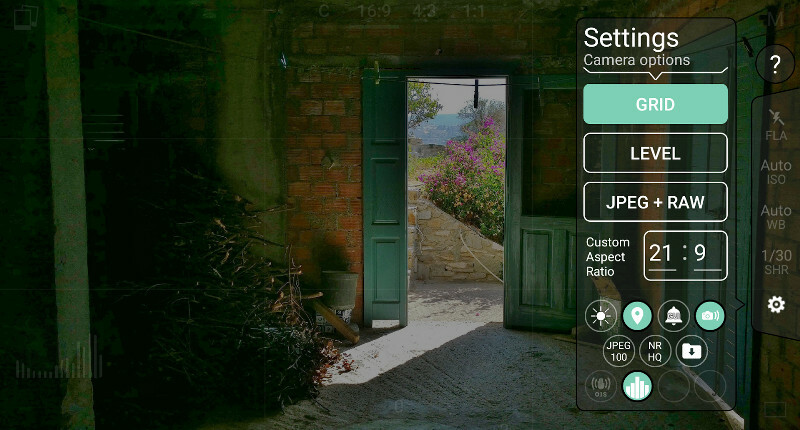 Another popular photo-editing app on mobile, Snapseed acquired the ability to handle RAW images late last year. 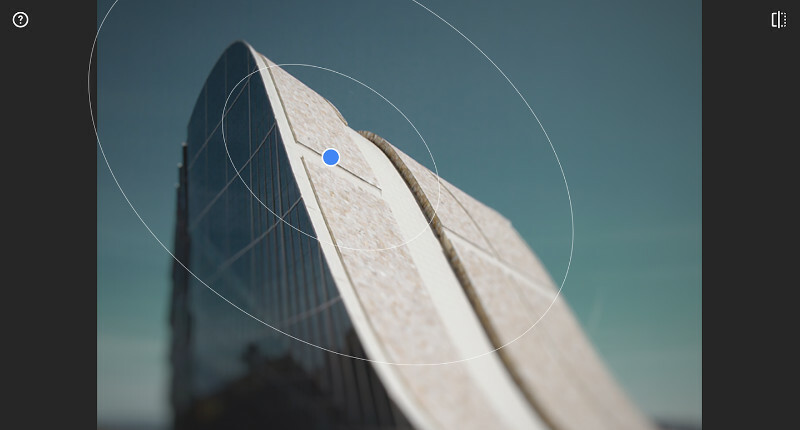 Users are able to tweak exposure, sharpness, shadows and highlights with the app, to name a few parameters. But it’s got a load of other features too, such as healing, various filters, brush tools and automatic adjustment tools. Snapseed is available for free on Android and iOS (Apple’s platform doesn’t play as nicely with RAW snaps again).